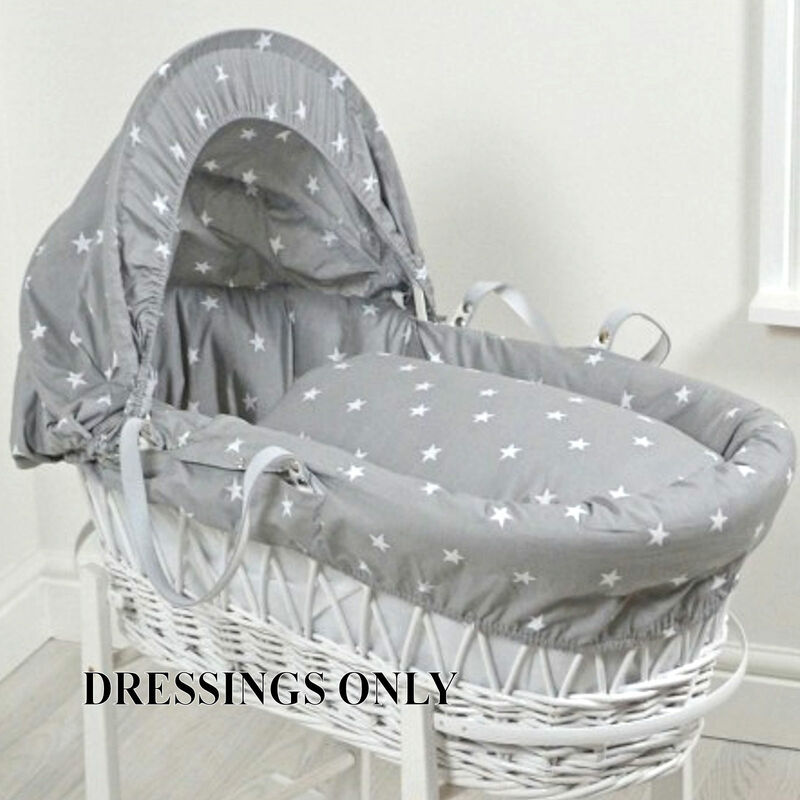 The stylish 4baby grey / white stars dressing is perfect for giving your wicker moses basket a brand new and current look. With its beautiful white star design on a soft grey cotton backdrop this can be kept as a spare set when washing is full to the brim. Complete with basket dressing, hood and coverlet this simply attaches to your basket creating a fresh sleeping space for your little one. Absolutely beautiful. Great value for money. 5 * seller.